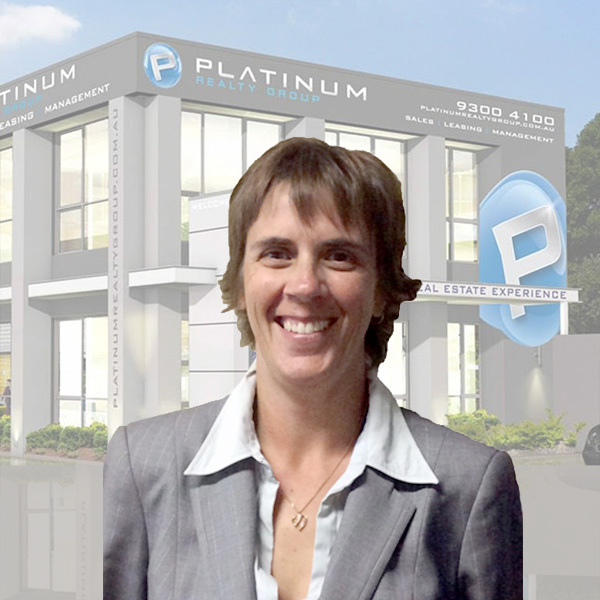 My appointment with Platinum Realty Group is my first appointment in Real Estate. I have thoroughly enjoyed working with a friendly, team orientated and motivated group of professionals. I look forward in enhancing my career at Platinum Realty Group. I have found Erica to be extremely reliable and very professional at all times. Erica always goes the extra distance to maximize the best results for all of my investment properties. She has always provided excellent advise and regular market updates, ever since she started managing my portfolio. Knowing she has everything under control, gives me confidence to continue on with my investment journey. Best property manager I have worked with in over 10 years of investing. I would like to take this opportunity to thank Erica very much for dealing with what could have become a very large and costly plumbing issue. Not only did Erica identify the area in need of urgent attention she then proceeded to coordinate the urgent repairs, which became a builders warranty issue. As if this wasn't enough Erica then proceeded to deal directly with the builder organising access and direction on resolving the issue. We would like to reiterate how happy we are with Erica's professionalism and competence in managing our 3 properties, giving us peace of mind they have been left in very capable hands. Thank you so much. 3x1 WITH LARGE POWERED WORKSHOP!! - Master Bedroom with built in wardrobe. GREAT FAMILY HOME, GREAT LOCATION!!! - Large Master Bedroom with built in robes, ceiling fan, double glazed windows and roller shutters.